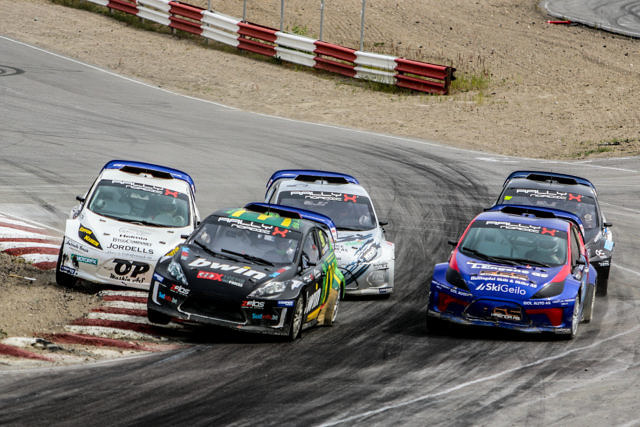 The RallyX Nordic presented by Cooper Tires Supercar Lites title battle will reach its crescendo at the Tierp Arena as they face off with one another in what promises to be a thrilling final around showdown. 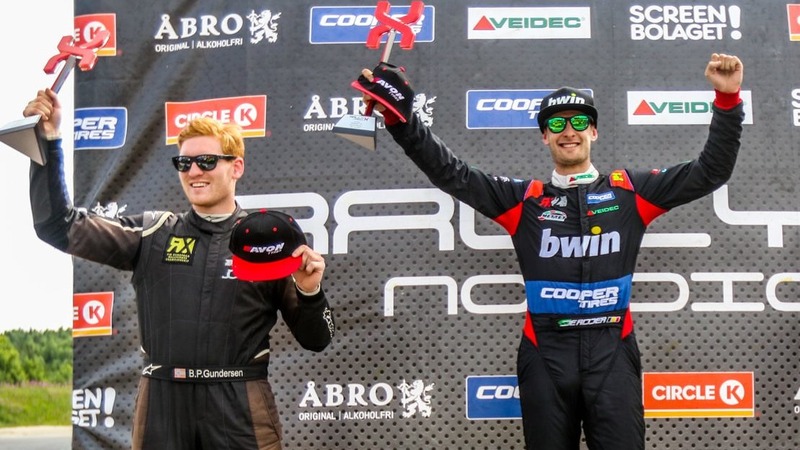 Belgium’s De Ridder started the season in style with a run of three comprehensive victories seemingly putting the Olsbergs MSE driver on course for the championship win. However, a disqualification from the semi-finals in Nysum coupled with a retirement at the start of the final in Kouvola have slowed his momentum and nudged open the door for Gundersen to attack in Sweden this weekend. 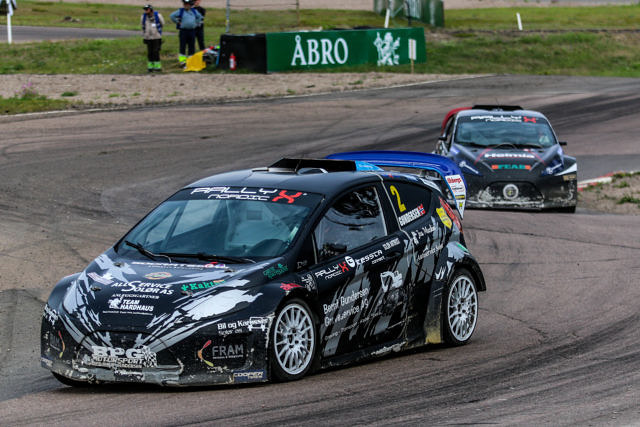 Indeed, Gundersen’s Supercar Lites campaign has been successfully forged on consistency and pace, the Norwegian’s trio of podiums at Arvika, Grenland and Nysum teeing up his first win of the season in Kouvola as part of a JC Raceteknik 1-2-3. It means the championship fight comes down to the wire at the Tierp Arena with De Ridder holding a 17 point advantage with a maximum of 30 points available. Even so, both drivers will face threats from all sides in Sweden this weekend as part of a 24-strong Supercar Lites entry list that includes former champion and World RX driver Kevin Eriksson, plus newly-crowned FIA European RX champion Reinis Nitiss, top RX2 driver Nathan Heathcote and Hedstroms Motorsport’s CsuCsu for the first time.